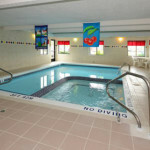 Quality Inn by the Bay is a Traverse City hotel located across from the Grand Traverse Bay. In addition to standard rooms, there are also hot tub suites and two-room suites. The TART Trail (Traverse Area Recreation Trail) runs behind the property and offers 10 miles of paved path for biking, walking, running and rollerblading. 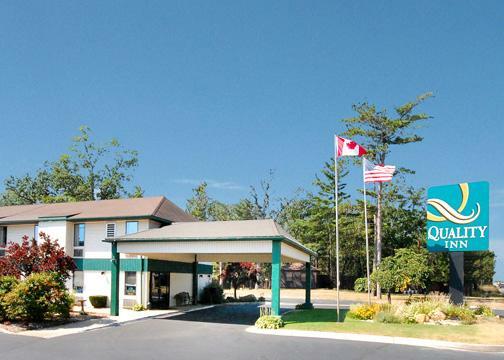 Quality Inn by the Bay is located near Traverse City restaurants and shopping, Cherry Capital Airport, Northern Michigan golf and ski resorts and premiere Michigan wineries. All guest rooms include coffee makers, hair dryers, irons, ironing boards and cable television with HBO. Pets are welcome with a nightly fee. Come experience genuine hospitality at the Quality Inn By the Bay, offering affordable rates and a warm, friendly staff that awaits your arrival. Make your reservation with our hotel in Traverse City today.